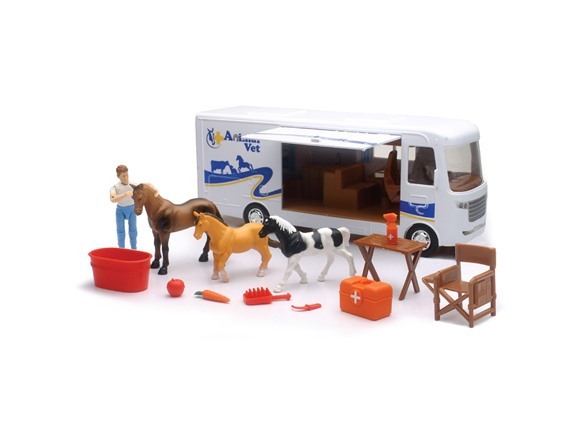 The Country Life Horse Vet Set is equipped with all of the equipment that is needed to take care of Horses on the go! Take the Mobile RV Animal Vet around to your different Horse Barns and help Heal the Horses. Side Door of Mobile Animal Vet RV opens.